Martin James Bartlett joins the City of Birmingham Symphony Orchestra for two concerts this month in conjunction with Classic FM. On 12 April he joins the orchestra and conductor Michael Seal for Classic FM’s Movie Classics at Birmingham's Symphony Hall Bartlett is the soloist for Rachmaninov Piano Concerto No.2, which features prominently in David Lean's iconic 1945 film Brief Encounter. Bartlett repeats his performance with Seal and the CBSO on 23 April, this time for Classic FM Live at the Royal Albert Hall in London. Elsewhere this month, Bartlett joins the Janáček Philharmonic Ostrava for a performance of Ravel Piano Concerto on 18 April with conductor Claudio Vandelli. Intermusica is delighted to announce that Martin James Bartlett has signed an exclusive recording contract with Warner Classics. His debut album, Love and Death, will be released on 3 May 2019. Since winning BBC Young Musician of the Year in 2014, Bartlett has performed with orchestras including the BBC Symphony Orchestra, BBC Scottish Symphony Orchestra, BBC Concert Orchestra at the BBC Proms, Bournemouth Symphony Orchestra, Royal Philharmonic Orchestra, London Mozart Players, Manchester Camerata and Tokyo Symphony Orchestra. Winner of both second prize and the audience prize at the Bad Kissingen KlavierOlymp competition in October 2018, Bartlett began 2019 by participating in Sir András Schiff’s public masterclasses at the Salzburg Mozartwoche, having taken masterclasses at the 2018 Verbier Festival Academy with Schiff, as well as with Richard Goode and Sergei Babayan. His schedule for the current season also includes appearances at Classic FM Live (London’s Royal Albert Hall) with the City of Birmingham Symphony Orchestra, Janáček Philharmonic Ostrava in the Czech Republic and at the Klavier-Festival Ruhr, Kissinger Sommer and Mecklenberg-Vorpommern festivals in Germany as well as at the Biarritz Festival and at Piano aux Jacobins in France. Martin James Bartlett joins Verbier Festival’s Schloss Elmau residency this month, performing Mozart Piano Concerto No.24 with the Verbier Festival Chamber Orchestra on 29 November. The following day, he also performs Mendelssohn's Piano Trio No.2 with Stephen Warts and Christin Thomas. Last season Bartlett was invited to the Verbier Festival Academy, where he performed in public masterclasses with Sir Andras Schiff, Richard Goode and Sergei Babayan. Elsewhere this month, Bartlett makes his debut with the Ipswich Symphony Orchestra for a performance of Beethoven’s Piano Concerto No.1 in C major on 24 November at the Ipswich Town Hall and Corn Exchange. This October, Martin James Bartlett appears at the Klavier Olympiad in Bad Kissingen. Each year six international competition winners are invited to participate, performing a recital before a jury and audience. The winner will be announced on 7 October. Previous prize winners include Kirill Gerstein, Martin Helmchen, Alice Sara Ott, Kit Armstrong, and Behzod Abduraimov. Elsewhere in October, Bartlett performs recitals in Wells and returns to Madrid to make his debut at the Teatros del Canal. Martin James Bartlett makes his debut at the Duszniki International Chopin Piano Festival in Poland this month, performing an afternoon recital on 8 August 2018. Bartlett performs a programme featuring Beethoven Piano Sonata No.30 and Schumann Kinderszenen. The Duzniki International Chopin Piano Festival, in its seventy-third year, celebrates the life and music of Chopin, who was a frequent visitor of the town. Bartlett filmed a feature on Kinderszenen for Pianist Magazine in March - watch the feature below. The BBC Proms returns this year on 13 July 2018, and as ever there is a strong Intermusica presence at the festival. This year sees returns for artists including Marin Alsop, Sir John Eliot Gardiner, John Wilson, Colin Currie and Antoine Tamestit, while Intermusica also brings the Accademia Nazionale di Santa Cecilia and the Baltimore Symphony to the festival as part of the Proms' celebrations of the centenary of Leonard Bernstein's birth. All concerts are broadcast live on BBC Radio 3. Francesco Piemontesi returns to the Proms at 7.30pm on 14 July, joining Alain Altinoglu and the Royal Philharmonic Orchestra as the soloist for Mozart Piano Concerto No.27. On 15 July at 7pm, Colin Currie and Martin James Bartlett join an array of previous winners and finalists for a concert celebrating the 40th anniversary of BBC Young Musician. Currie performs Steve Reich Drumming – Part I with Colin Currie Group members and fellow BBC Young Musician competitors Sam Walton, Aiden Spillet and Owen Gunnell, while Martin James Bartlett performs in Saint-Saëns Carnival of the Animals. Mark Simpson returns to the Royal Albert Hall at 7.30pm on 16 July to perform Magnus Lindberg Clarinet Concerto. He is accompanied by Juanjo Mena and the BBC Philharmonic. Susan Bickley renews her relationship with the London Sinfonietta and Sir George Benjamin at 3pm on 21 July in a Prom at the Roundhouse in Camden. Bickley performs in a programme featuring a quartet of war-themed premieres as well as works by Stravinsky, Messiaen and Ives. Simon Halsey leads the BBC Proms Youth Choir once again this year in concert with Donald Runnicles and the World Orchestra for Peace at 7.30pm on 21 July. They perform Shadow, a new, First World War-themed commission from Latvian composer Ēriks Ešenvalds. Also on the programme are Britten Sinfonia da Requiem and Beethoven Symphony No.9. Halsey returns in August for concerts with the London Symphony Chorus and Orchestra under Sir Simon Rattle and in September with the City of Birmingham Symphony Choruses with Andris Nelsons and the Boston Symphony Orchestra. On 25 July, Ben Gernon returns to the Proms with the BBC Philharmonic Orchestra. Gernon, the orchestra’s Principal Guest Conductor, leads the BBC Philharmonic in the world premiere of Tansy Davies What did We See?, an orchestral suite from the composer’s recent opera Between Worlds. He also conducts Beethoven Piano Concerto No.5 ‘Emperor’ with soloist Paul Lewis and Brahms Symphony No.2. The concert starts at 7.30pm. Martyn Brabbins conducts the BBC National Orchestra and Chorus of Wales in a programme celebrating English composer Hubert Parry at 7pm on 27 July. Brabbins conducts Parry’s Symphony No.5 and Hear my words, ye people! alongside works by his pupils Vaughan Williams and Holst. Tai Murray is the soloist in Vaughan Williams The Lark Ascending, while soprano Francesca Chiejina and bass-baritone Ashley Riches also feature. Andrew Manze returns this year alongside the BBC Scottish Symphony Orchestra, conducting the orchestra in a London-focussed programme at 7pm on 31 July. The concert opens with Haydn Symphony No.104 ‘London’, and after the interval Manze conducts Vaughan Williams A London Symphony. On 5 August, Brett Dean joins Thomas Dausgaard and the Swedish Chamber Orchestra for their Brandenburg Project. Over two concerts, the orchestra presents Bach’s six Brandenburg Concertos alongside six newly commissioned companion works. Dean performs as viola soloist in the second concert at 7.30pm, while his Approach – Prelude to a Canon is one of the companion works. Nicholas Collon and his Aurora Orchestra make their annual appearance in a late-night Prom focussing on Shostakovich at 10.15pm on 6 August. Joined once again by BBC broadcaster Tom Service, Collon and the Orchestra unpack the composer’s Symphony No.9 before performing it from memory. The concert also features Shostakovich Piano Concerto No.2 with soloist Denis Kozhukhin. Intermusica renews its relationship with the Accademia Nazionale di Santa Cecilia and Sir Antonio Pappano at 7.30pm on 10 August, bringing them to the Proms as part of the festival's celebrations for the Bernstein centenary (Bernstein was the orchestra's honorary conductor for a decade). Pappano conducts the composer's Symphony No.1 'Jeremiah' alongside Haydn The Creation - Chaos and Mahler Symphony No.1. John Wilson follows last year’s performances of Oklahoma! with the John Wilson Orchestra with two concert performances of Bernstein West Side Story on 11 August, at 3.30pm and 8pm. Renaud Capuçon appears at the Proms at 7pm on 16 August alongside the Orchestre de la Suisse Romande in its debut appearance at the festival. Capuçon is the soloist for Ravel Violin Sonata No.2, which has been orchestrated by Yan Maresz. Patricia Bardon joins Sir Simon Rattle and the London Symphony Orchestra in a concert performance of Ravel L’enfant et les sortilèges on 18 August at 7.30pm. John Wilson makes a second appearance at the Proms on 25 August when he conducts the London Symphony Orchestra in a performance of Bernstein On the Town. Marin Alsop conducts the Proms Scratch Orchestra in two free concerts at Maida Vale Studios on 26 August. The Scratch Orchestra, made up of amateur musicians and members of the BBC Concert Orchestra, performs movements from Shostakovich Symphony No.5. Joshua Weilerstein returns to the Proms at 7.30pm on 26 August to conduct the Royal Philharmonic Orchestra in a tribute to Leonard Bernstein’s televised Young People’s Concerts. Utilizing words, projections and music, the concert features works including Stravinsky The Rite of Spring, Ligeti Apparations and Debussy La mer alongside works by Bernstein and Beethoven. Wallis Giunta makes her Proms debut at 1pm on 27 August, leading a recital of works by Bernstein and his associates at Cadogan Hall. As well as works by Copland, Sondheim and Barber, the concert features the world premiere of a new song by British composer Bushra El-Turk, Crème Brûlée on a Tree, inspired by Bernstein’s recipe settings. Marin Alsop returns to the Proms at 8pm on 27 August as Intermusica brings the Baltimore Symphony Orchestra to the festival for a concert of Bernstein and Shostakovich with pianist Jean-Yves Thibaudet. Lise Davidsen joins Andrés Orozco-Estrada and the London Philharmonic Orchestra for Verdi Requiem at 7.30pm on 30 August. Mary Bevan joins the BBC Concert Orchestra at Alexanda Palace at 3pm on 1 September to star in Sullivan Trial by Jury alongside Neal Davies, Sam Furness and Ross Ramgobin. Sir John Eliot Gardiner and the Orchestre Révolutionnaire et Romantique return to the Proms at 7.30pm on 5 September for a programme of Berlioz. They are joined by Antoine Tamestit, who performs Harold in Italy, while Joyce DiDonato sings arias from Le mort de Cléopatre and Les Troyens. Russell Braun joins the Royal Scottish National Orchestra under Peter Oundjian at 7pm on 6 September as the baritone soloist in Britten War Requiem. Braun performs alongside Erin Wall and Allan Clayton. Colin Currie and Martin James Bartlett return to the BBC Proms on 15 July 2018 to perform at the BBC Young Musician 40th Anniversary celebration. The concert features musicians from the competition’s 40 year history including Nicola Benedetti, Sheku Kanneh-Mason as well as this year’s winner Lauren Zhang. It will be broadcast live on BBC Four and BBC Radio 3. Currie, who was the first percussion finalist of the competition in 1994, is joined by fellow percussionist finalists and Colin Currie Group members Owen Gunnell, Sam Walton and Adrian Spillett, who was the first percussionist to win the BBC Young Musician of the Year in 1998. Together they perform Steve Reich Drumming Part I.
Bartlett won the competition in 2014. He performs selections from Saint‐Saëns Carnival of the Animals with other pianists who have won the competition: Freddy Kempf (1992), Lara Melda (2010) and Lauren Zhang (2018). Elsewhere this month, Colin Currie performs Andrew Norman Switch at Chicago’s Grant Park Music Festival on the 27th and 28th July in Chicago, with the Grant Part Orchestra under the baton of David Danzmayr. Martin James Bartlett makes his Spanish debut this month, performing two recitals at the Fundacion Juan March in Madrid in the venue’s young performers series on 3 and 4 June 2018. The Sunday concert will be available for streaming on Canal March. Bartlett's programme features Bach Partitia No.2, Beethoven Sonata No.30 Op. 109 and Prokofiev Sonata No.7. Click here to watch Bartlett’s performance of Prokofiev Sonata No. 7 from the 2017 Van Cliburn competition. Martin James Bartlett performs Prokofiev Piano Concerto No.3 with the Maidstone Symphony Orchestra on 19 May 2018 at the Mote Hall. The concert is the orchestra's final performance of the season and also features Tchaikovsky Romeo & Juliet and Shostakovich Symphony No.1. Martin James Bartlett gives three recitals around the UK this month, starting in Harrogate on 15 April. Bartlett performs a programme of Bach, sonatas by Beethoven and Prokofiev and three Rachmaninov preludes. Bartlett follows the recital in Harrogate with performances at the Leighton House Museum in Kensington on 17 April and Nottingham's Theatre Royal on 22 April, when he performs a shortened programme. Bartlett performed Prokofiev Piano Sonata No.7 during his Quarter Final appearance at the 2017 Van Cliburn Competition, which was broadcast on Medici - click here to watch the performance. Martin James Bartlett makes his Japanese debut this month when he joins the Tokyo Symphony Orchestra in concert on 25 March 2018. Performing under the baton of Josep Pons, Bartlett is the soloist for Prokofiev Piano Concerto No.3. While in Japan, Bartlett also gives a solo recital at the Musashino Cultural Foundation on 27 March. The programme features another Prokofiev work, the 'Stalingrad' Sonata, alongside works by Bach, Beethoven and Rachmaninov. Martin James Bartlett performs in recital across the UK this month, starting with a performance in Loughborough on 17 February 2018. Bartlett follows this with a recital in Milverton on 23 February and Darlington on 25 February. Bartlett's programme includes a selection of Scarlatti keyboard sonatas, Beethoven Piano Sonata No.30, a selection of Rachmaninov Preludes, Liszt Petrarch’s Sonnet 104 and Scriabin Piano Sonata No.4. Bartlett performed two Scarlatti Piano Sonatas during the quarter final round at the Van Cliburn competition in 2017. Click here to view his performance. The Southbank Centre launched its 2018/19 classical season on 30 January 2018, with Intermusica artists and performing throughout the year. 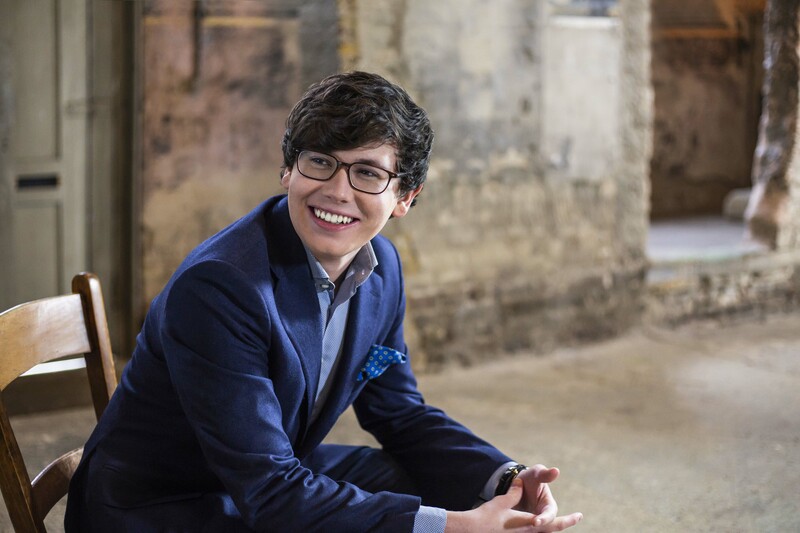 Highlights include Marin Alsop continuing her relationship with the Southbank in concerts with the Orchestra of the Age of the Enlightenment and the London Philharmonic Orchestra, Nicholas Collon and the Aurora Orchestra continuing their residency, and performances from Leonidas Kavakos, John Wilson, Kian Soltani and George Li. Another major highlight of the season is the International Chamber Music Series, which Intermusica co-promotes with the Southbank Centre. This year it opens with a concert from Jordi Savall and his Hesperion XXI and features a concert marking the centenary of author Muriel Spark from the Nash Ensemble, and performances from Leonidas Kavakos and Yuja Wang, the Jerusalem, Artemis and Belcea quartets, and performances of Stockhausen by Southbank Centre Artist in Residence Pierre-Laurent Aimard. Nicholas Collon and the Aurora Orchestra continue as Associate Orchestra with three concerts in the new season. The first, on 16 September 2018, pairs a memorized performance of Beethoven Symphony No.5 with HK Gruber's Frankenstein!! in a concert conceived and directed by Jane Mitchell. Their second, on 20 January 2019, is titled Songs from the Road and features Mahler's Songs of a Wayfarer, arrangements of folk ballads and the world premiere of Du Yun Where we lost our shadows. Their final concert takes place on 5 June 2019 and features works by Beethoven, Thomas Adès, a Max Richter world premiere and Mozart's Symphony No.41. Kirill Gerstein renews his partnership with Thomas Adès when he joins the composer and the London Philharmonic Orchestra on 26 September to perform Adès' concerto for piano and orchestra, In Seven Days. Geoffrey Paterson returns to the London Sinfonietta on 13 October to conduct them in a performance of Pascal Dusapin Passion, a collaboration with Music Theatre Wales. Patricia Bardon returns to the role of Baba the Turk in a performance of Stravinsky The Rake's Progress with Vladimir Jurowski and the London Philharmonic Orchestra on 3 November. Lahav Shani and Francesco Piemontesi join forces for a concert of Brahms and Beethoven with the Philharmonia Orchestra on 4 November. Shani conducts Weber Oberon Overture, Brahms Symphony No.1 and Beethoven Piano Concerto No.5 'Emperor', with himself as piano soloist. Marin Alsop makes her first visit of the season on 11 November, conducting the Orchestra of the Age of Enlightenment in a performance of Brahms Ein deutsches Requiem. She then returns on 16 January to conduct the London Philharmonic Orchestra in a contemporary programme with Colin Currie giving the world premiere of Helen Grime's Percussion Concerto. John Wilson returns to the Philharmonia Orchestra on 15 November for a concert of Gershwin and Walton. He is joined by Louis Schwizgebel, who performs Gershwin Piano Concerto. Wilson then brings his John Wilson Orchestra to the Southbank Centre on 15 December, leading them in a characteristic programme of music from Hollywood and Broadway. He returns on 18 April to lead the Orchestra of the Age of Enlightenment in a special performance of Gilbert & Sullivan Trial by Jury. Mary Bevan joins the Philharmonia Orchestra and conductor Brian Wright for a seasonal performance of Handel's Messiah on 16 December. Leonidas Kavakos appears at the Southbank Centre's International Chamber Music Series on 18 January alongside Yuja Wang, performing a recital of Mozart, Prokofiev, Bartók and Strauss. Martyn Brabbins joins the Philharmonia Orchestra on 20 January 2019 to conduct an English programme of Elgar, Vaughan Williams, Britten and the London premiere of Geoffrey Gordon's Prometheus, a concerto for bass clarinet and orchestra. Jacques Imbrailo joins the Mozartists and conductor Ian Page on 29 January for the next concert in their Mozart 250 series, which is themed around the year 1769. Imbrailo sings arias by Gluck, Haydn, Arne, Gréty and Paisiello. Susan Bickley returns to the Southbank Centre to sing Beethoven Symphony No.9 alongside the Royal Philharmonic Orchestra and conductor Oliver Gooch on 16 March. Kian Soltani returns on 23 March after his acclaimed debut at Southbank Centre with the West–Eastern Divan Orchestra. This time he joins Edward Gardner and the London Philharmonic Orchestra to play Elgar Cello Concerto. George Li joins Vasily Petrenko and the London Philharmonic Orchestra on 27 March to perform Tchaikovsky Piano Concerto No.1, part of a programme that also features Khachaturian Adagio of Spartacus and Phrygia and Walton Symphony No.1. Following a critically acclaimed London conducting debut with the National Youth Orchestra of Great Britain in 2017, Carlos Miguel Prieto returns to lead the young musicians in a concert on 12 April. Prieto conducts an exciting programme of Revueltas, Carlos Chávez and Copland. Francesco Piemontesi returns to the International Piano Series on 2 May, performing a solo recital of works by Bach, Debussy and Rachmaninov. Martin James Bartlett joins the Philharmonia Orchestra on 7 May to perform Ravel Piano Concerto in G, part of a programme that also features the world premiere of Cecilia McDowall Da Vinci Requiem. Martin James Bartlett makes his debut at St David’s Hall on 20 October 2017, performing Rachmaninov Piano Concerto No.2 with the Cardiff Philharmonic. Elsewhere this month, he appears in recital at the Outwood Academy Foxhills in Scunthorpe on 13 October. He performs a programme of works by Bach, Liszt, Scriabin, Rachmaninov and Prokofiev. He also joins the Epiphoni Consort in London on 28 October for a consort commemorating the 100th anniversary of the October Revolution in Russia. Of a performance at the Van Cliburn Competition earlier this year, TheatreJones wrote “[Bartlett] is so at ease that he could be in his own living room with no one listening”. Programme and performers announced for Intermusica Charity Concert! There’s now less than a week to go before Intermusica’s Charity Concert in aid of Pelican Cancer Foundation, and we’re delighted to announce our full programme and performers. From the Renaissance strains of Monteverdi to the luscious sonorities of Elgar, this programme will showcase the unique talents of the Intermusica staff team, along with guest appearances from our esteemed artists. Highlights include a piece composed by Intermusica’s Head of International Touring, Peter Ansell, as well as a performance of the late Sir Peter Maxwell Davies’ unforgettable Farewell to Stromness by Intermusica Managing Director, Stephen Lumsden. The evening will culminate in Brahms’ stunning Geistliches Lied, originally written for choir and organ, and heard here in a special arrangement for string orchestra and choir by Sir John Eliot Gardiner. We are thrilled to be joined by a number of representatives from Pelican Cancer Foundation, including CEO Sarah Crane and Head of Community Fundraising, Tim Lockwood, who will tell us more about Pelican and the positive impact of fundraising initiatives such as these. This concert has been reported in the Islington Gazette and Classical Music magazine, and has received support from the Association of British Orchestras. Tickets can be purchased online here for a suggested donation of £10 or minimum donation of £5, or on the door (cash only). For those who cannot attend but would still like to make a donation, please visit Pelican's website here and type 'Intermusica' in the text box within the form; this will ensure that your donation is credited to our campaign. We very much hope you will support Intermusica and Pelican by coming along on the 26th – we look forward to seeing you for a drink afterwards! It was announced on Sunday 28 May that Martin James Bartlett had progressed to the Quarterfinals stage of the Van Cliburn competition, one of 20 pianists advancing to this round, and the only British participant. You can watch the web broadcast from the competition on Medici TV. The Quarterfinals continue on 30 May, and 12 competitors will advance to the Semifinals on 1-5 June. Intermusica is thrilled to welcome pianist Martin James Bartlett for worldwide representation. Bartlett won BBC Young Musician of the Year in 2014 when he performed Rachmaninov’s Rhapsody on a Theme of Paganini with Kirill Karabits and the BBC Scottish Symphony Orchestra. He subsequently began his undergraduate studies with Professor Vanessa Latarche at the Royal College of Music, where he is a Foundation Scholar. In 2015 he made his BBC Proms debut performing Gershwin’s Rhapsody in Blue with the Royal Philharmonic Orchestra, conducted by Eric Whitacre. In 2016 Bartlett performed for HM The Queen, The Duke of Edinburgh and other senior members of the Royal Family at the National Service of Thanksgiving for The Queen’s 90th birthday in St Paul’s Cathedral. Following his success in the BBC Young Musician Competition, Bartlett received support from the Young Classical Artists Trust (YCAT). It was announced in March that Bartlett had qualified for the final rounds of the Van Cliburn Competition, the only British artist to be participating, and will shortly be travelling to Texas for the competition. "The wit and colour in pianist Martin James Bartlett’s playing was thrilling"